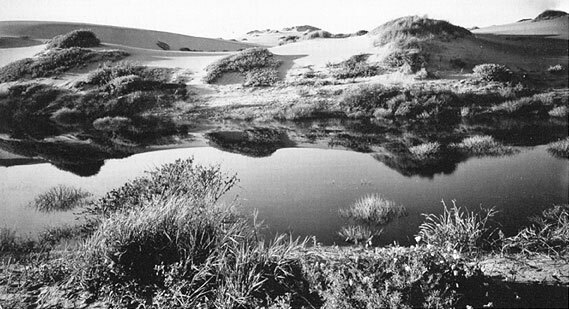 This c. 1910 photo by Willard Worden shows an inter-dune pond in the future Sunset District. 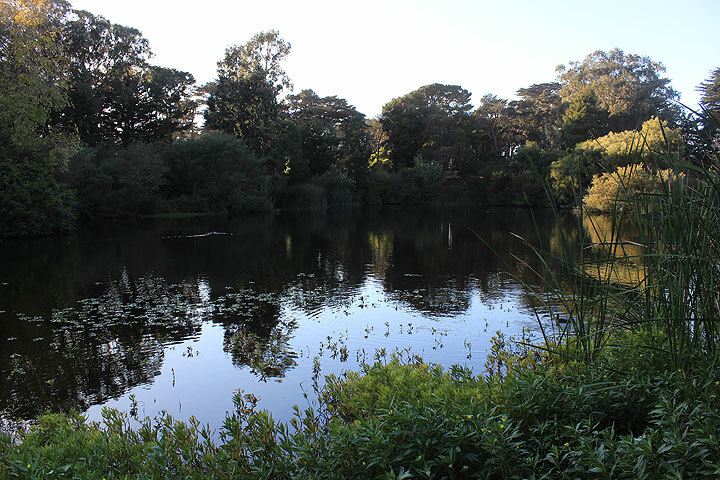 Before Golden Gate Park was developed, 14 native inter-dune lakes existed within the park's 1,013 acres. 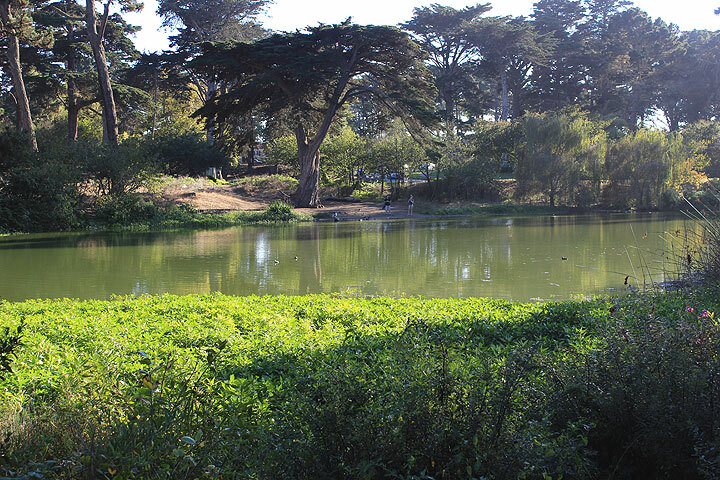 All of the native lakes were filled except the Chain of Lakes, and manmade bodies of water replaced the natural lakes. 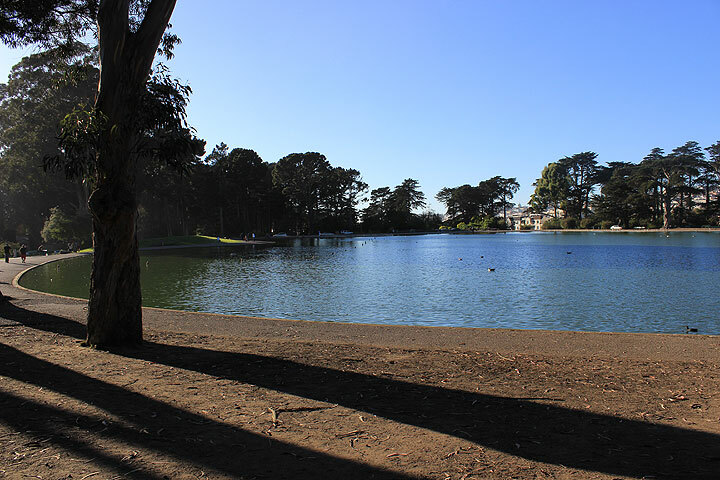 Chain of Lakes near western end of Golden Gate Park, 2014. 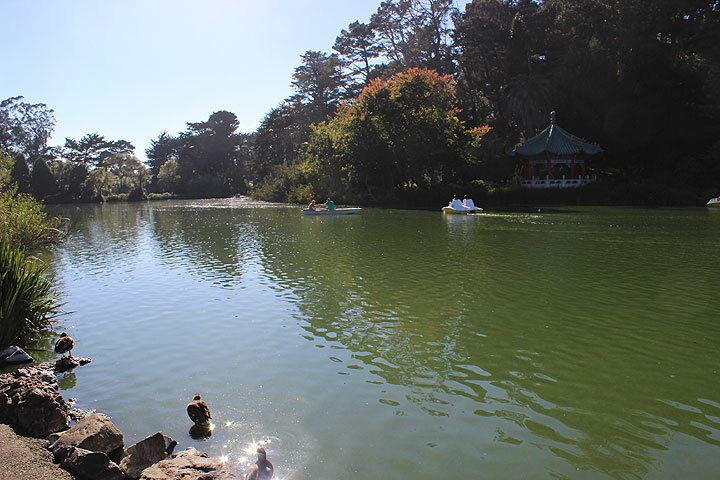 Spreckels Lake, home to the S.F. Model Yacht Club, 2014. 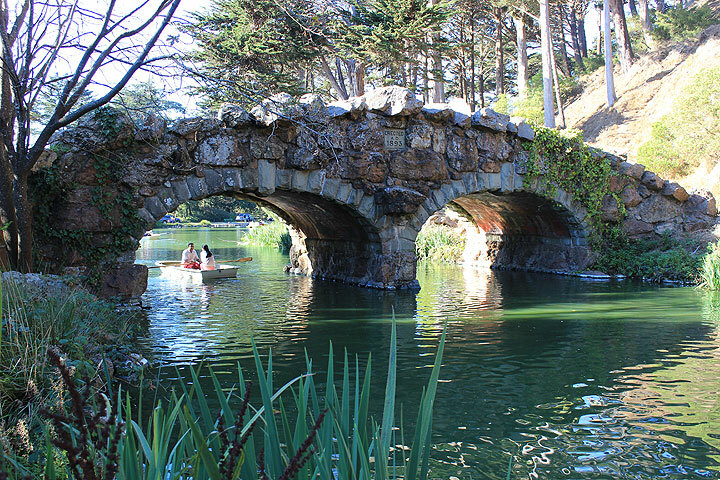 1893 bridge crossing Stow Lake to Strawberry Hill, 2014. 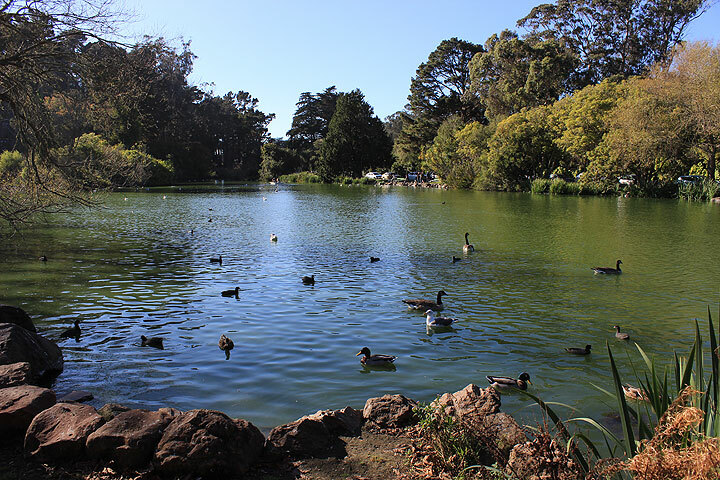 Stow Lake provides sanctuary to many different birds. 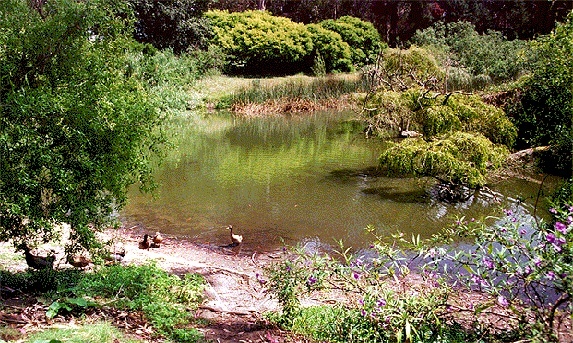 Mallard Lake, with its namesake inhabitants.